Olympic hopeful Maia Hall of Sleights near Whitby, is the new British Champion in the women’s 50 metre breaststroke for fifteen-year-olds. Maia made the breakthrough this week at the British Championships being held in Sheffield when she took the Gold medal. She attends Eskdale School in Whitby although she has been awarded a swimming scholarship at Ellesmere College in Shropshire. She starts there in September. This will be an increase in pool and gym time for her. 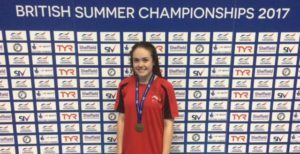 This is the latest success for a young woman who has already won gold at county and regional levels and it improves on the previous bronze she won nationally. 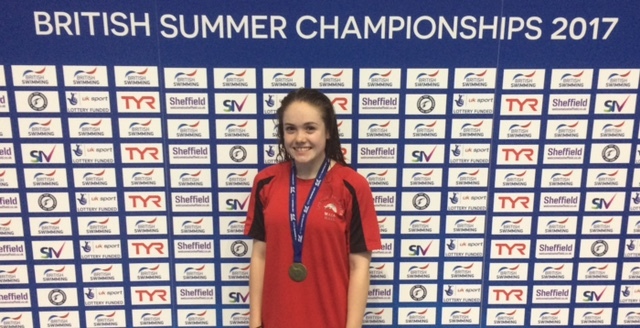 In the past she has also been included in the England Talent Pathway camp aimed at producing Olympic level swimmers.